Craving some delicious, comforting pudding? 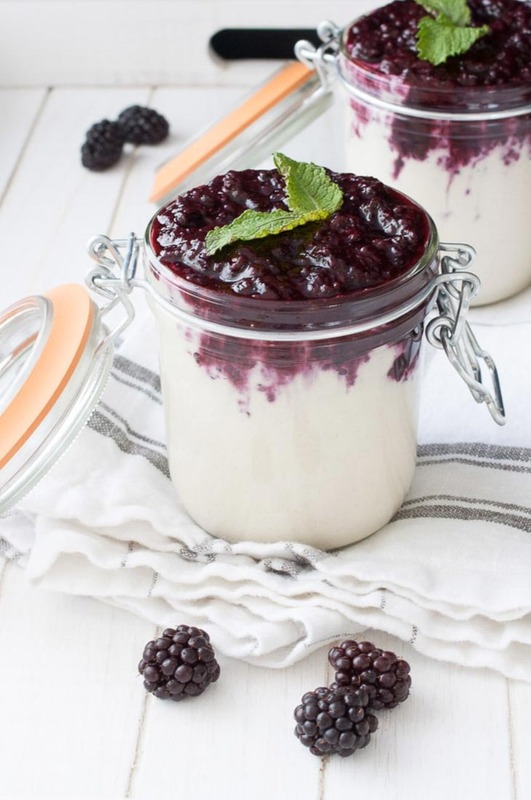 Search no more, as you will find 10 amazing vegan pudding recipes in this article! 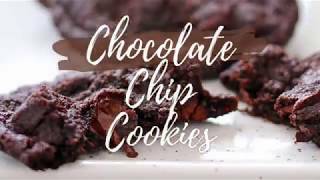 Yummy and super easy to make! Are you searching for the best pudding recipes for Christmas or for any other celebration? Then search no more. I’ve prepared a list with 10 of my favorite vegan pudding recipes ever, and I bet it’s going to be very helpful. In case you didn’t know already, pudding is an amazing dish that comes in both sweet and savory varieties and tons of combinations and mixes. It means different things depending on the country, but the thing that unites it all is this: pudding is delicious if prepared correctly. 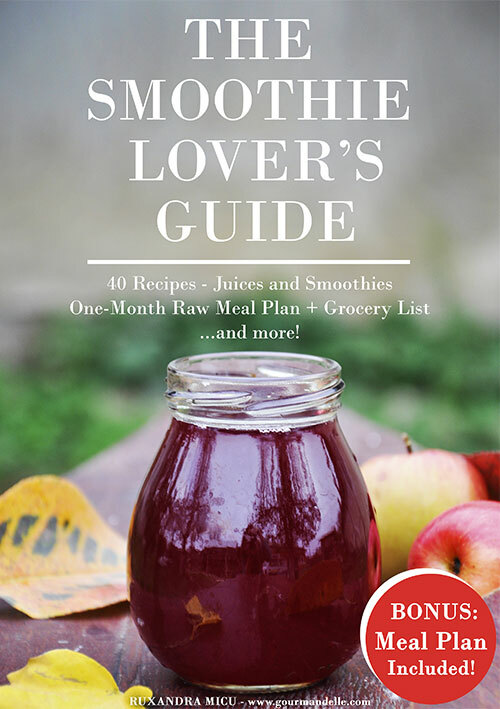 All of these recipes are heavenly and I’m sure they’re going to be enjoyed equally by both vegans and non-vegans! 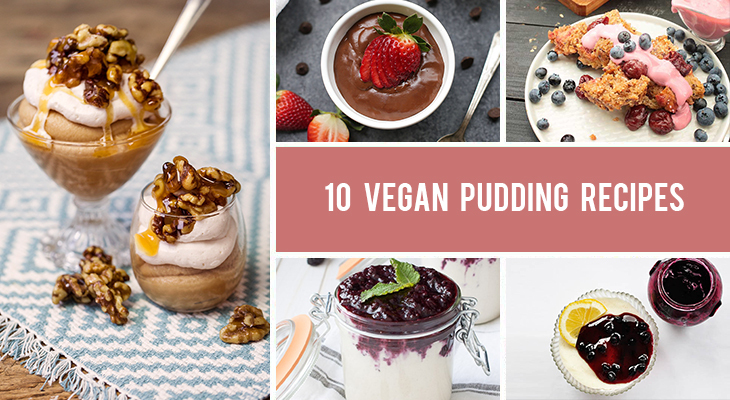 Click on the linked titles in order to access these vegan pudding recipes. While some of them are my own creation, the rest belong to some amazing food bloggers that I truly admire and whole-heartedly recommend. So let’s get down to business! I hope you’ll be inspired by this list! 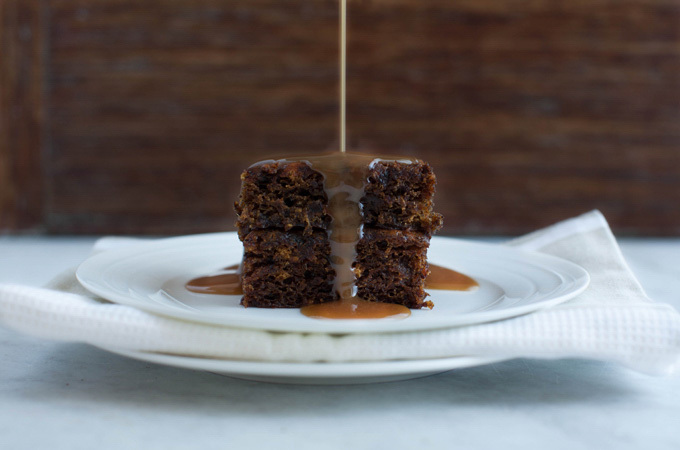 Sticky date pudding is one of the most easily “veganizable” desserts ever. 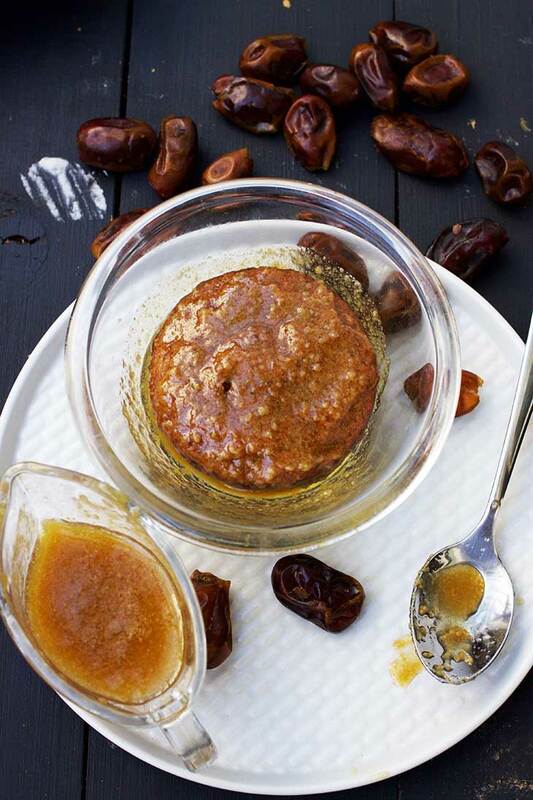 The combination of dates, rich chocolate, and caramel sauce is a match made in heaven, not to mention that this particular caramel sauce has a coconut flavor thanks to the coconut cream used in its composition. I found it very interesting flavor-wise, so be sure to give it a go! Looking for yet another of those chocolate pudding recipes easy to prepare? I’ve got you covered. 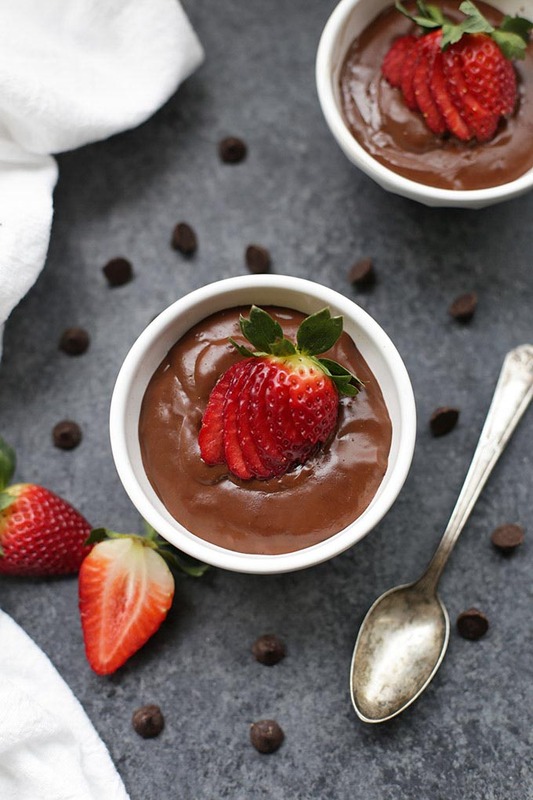 Most people shy away from vegan chocolate puddings as they tend to contain avocado or tofu. And some people simply don’t like these in combination with chocolate, and I totally get it. But this one? No sight of avo or tofu inside. It’s chocolatey, rich and creamy. It’s the real deal. Trust me, you don’t want to miss out on this! Bread pudding recipes easy to cook, everyone? Let me present Kirschenmichel, one of the best German desserts and comfort foods out there. This is so easy to make that even a child could succeed with a little attention. 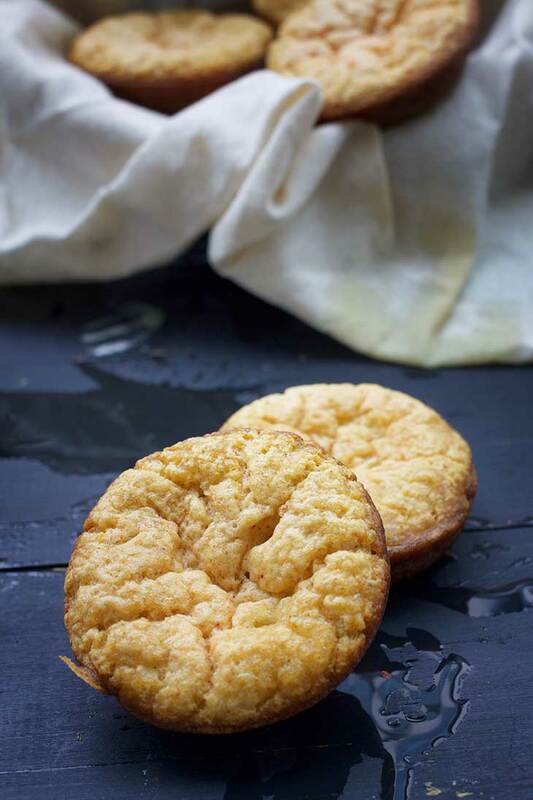 It’s amazing for those busy holiday days when you’ve got guests coming over and no dessert, as it uses leftover stale bread and is ready in no time at all. You can thank me later. Yorkshire pudding is an iconic English recipe that united generations and made quite a few TV appearances. It’s super versatile, very easy to make, and one of those pudding recipes from scratch that also taste amazing. It’s soft, tasty, and healthy – what more could you ask for? If those quinoa pudding recipes that are all the rage right now simply don’t make it for you, you’re going to love this rice one. 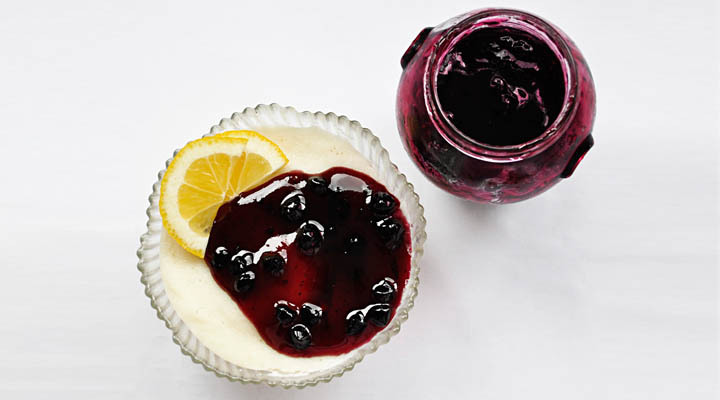 It contains a milky, smooth and silky base and a fruity, syrupy but still texturized topping. Rice pudding is tied to a lot of childhood memories for a lot of people, so this recipe is sure to bring them back to life… with a twist! The sweet, spicy and a bit tangy topping makes an amazing contrast with the sweetness of the pudding. If your love for desserts has gotten a bit out of the ordinary… then this one’s for you. I have a soft spot for pudding recipes with apples, and this one contains some apple puree which gives it an amazing Christmassy flavor. Mix it up with a cozy atmosphere, a little bit of snow, and your Christmas dinner’s going to be perfect! This vegan semolina pudding is for me yet another childhood memory encapsulated inside a bowl. It’s oh-so-smooth and tasty that you’ll want to serve this after each and every meal. 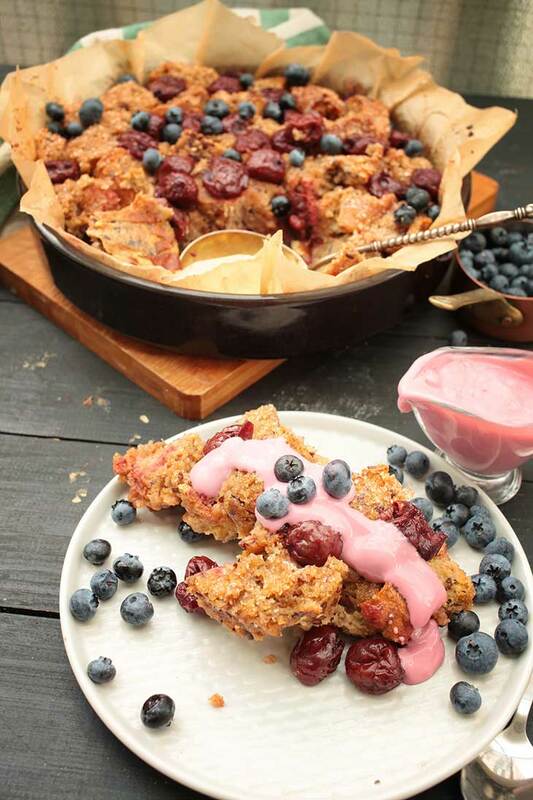 It’s also pretty healthy for a dessert, so there’s no guilt involved – and no excuse not to try it! Vegan pudding pie recipes are not something you’d think about straight away, but oh boy, are they amazing. 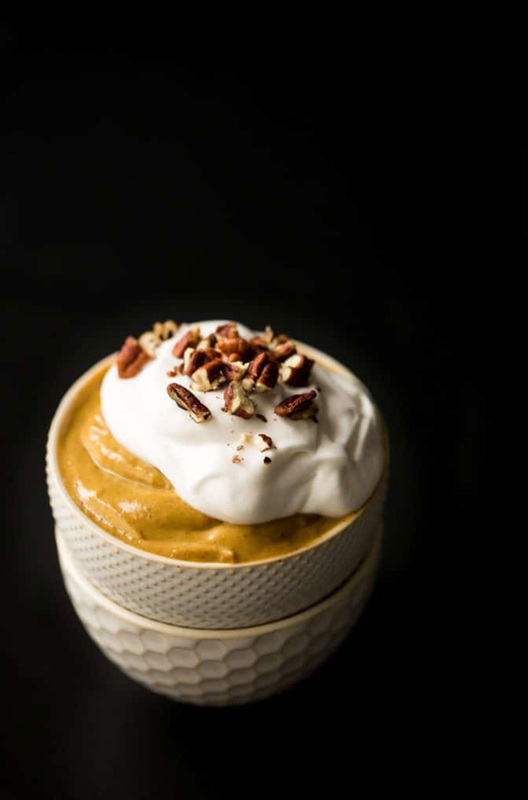 Especially this one which is so easy to prepare and packed with all of the flavor and nutrients that pumpkin can provide. I think it reaches its full potential when served in autumn… but then again, it’s so delicious you’ll want to eat this regardless of the season. 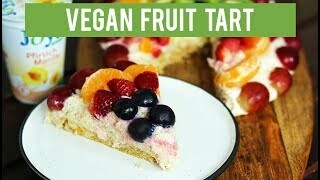 Yet another sweet and tangy combination, this is an amazing, fresh and subtle dessert that everyone is going to love. 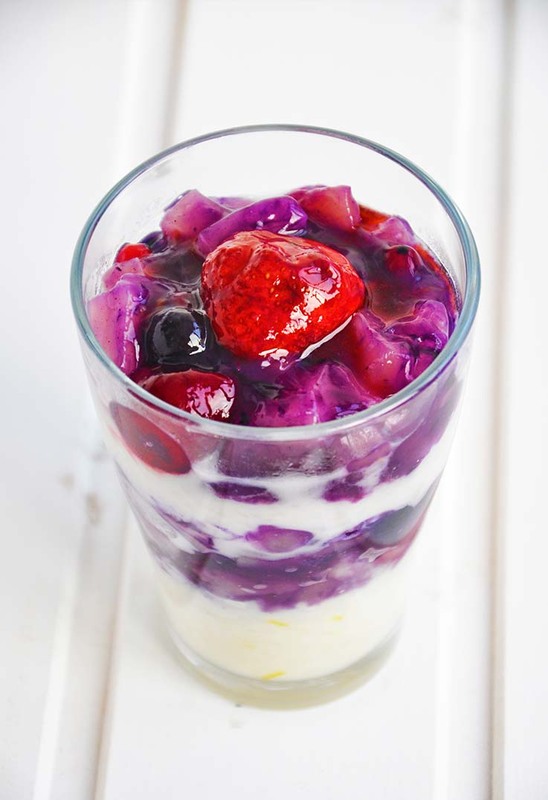 This is incredibly healthy as it’s sweet without even e dash of refined sugar, so it’s good for children and toddlers as well – just leave out the compote. Pudding parfait recipes are one of those easy desserts that you can whip up in no time at all if you have a sweet tooth after serving dinner. 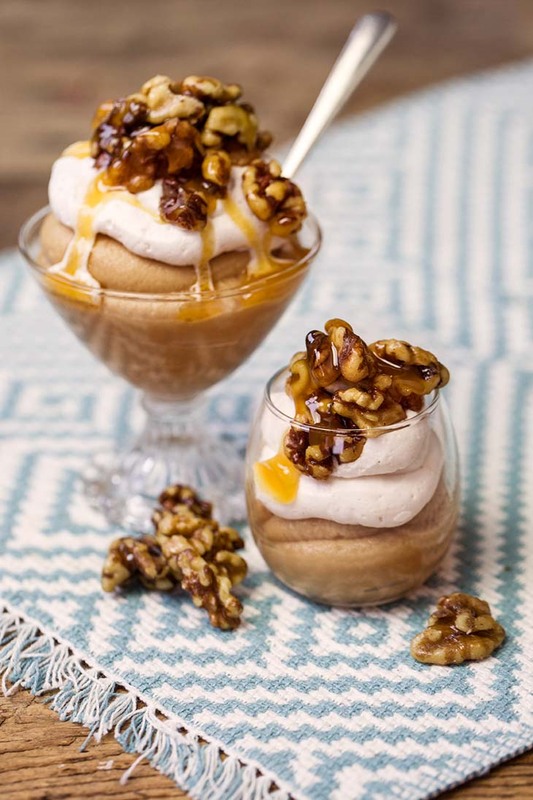 If the combination of silky smooth pudding and crunchy candied walnuts isn’t going to flip your world upside down, then nothing else will! Get your daily dose of veggie-grams! 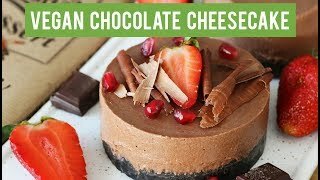 Gourmandelle is a vegetarian food blog with vegan and vegetarian recipes, raw food desserts, free vegetarian meal plans, macrobiotic recipes, gluten-free living tips and more! 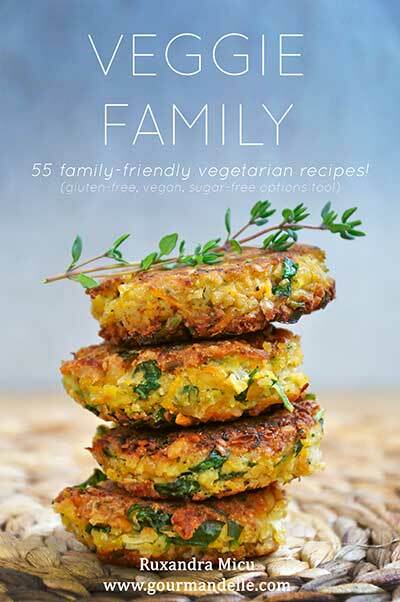 On this vegetarian food blog, you'll find many useful tips for vegetarians and vegans, plus many other great resources. 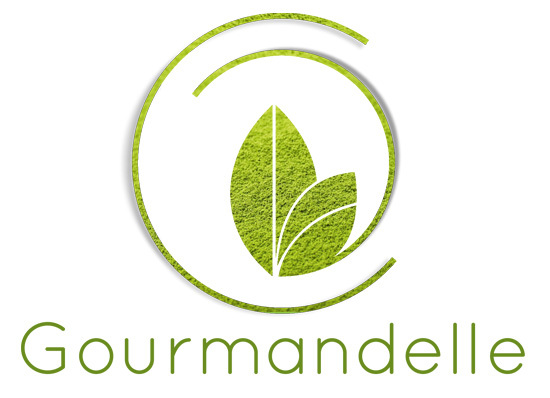 Gourmandelle contains some contextual affiliate links. An affiliate link is a link in which advertisers have agreed to pay a commission should a purchase be made from that click-through. I do not post anything that I haven’t or wouldn’t purchase myself. All images on this site are taken by myself, unless otherwise noted. I'd be happy for you to share them for any non-commercial purpose but please make sure to link back to the original post and give credit where it’s due. © Copyright Gourmandelle 2012-2018 - All rights reserved worldwide.